Postfix is a mail transfer agent (MTA), an application used to send and receive email. In this tutorial, you will install and configure Postfix so that it can be used to send emails by local applications only — that is, those installed on the same server as Postfix. If you’re already using a third-party email provider for sending and receiving emails, you do not need to run your own mail server. However, if you manage a cloud server on which you have installed applications that need to send email notifications, running a local, send-only SMTP server is a good alternative to using a third-party email service provider or running a full-blown SMTP server. 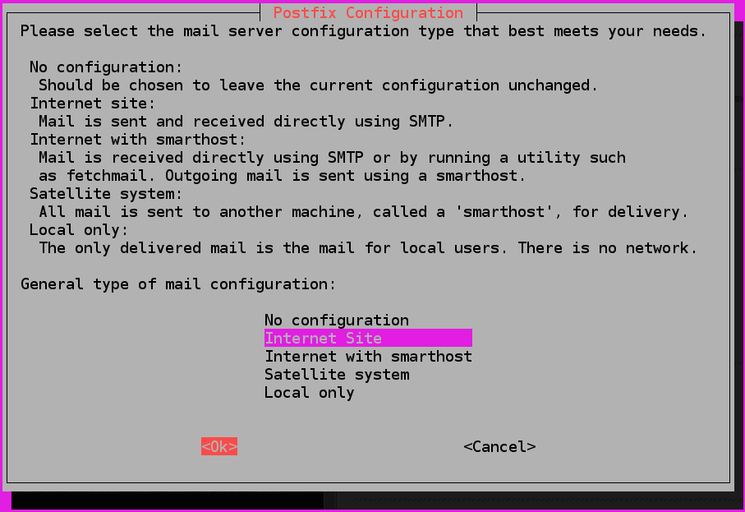 In this tutorial, you’ll install and configure Postfix as a send-only SMTP server on Debian 9. Note that your server’s hostname should match your domain or subdomain. You can verify the server’s hostname by typing hostname at the command prompt. The output should match the name you gave the server when it was being created. In this step, you’ll learn how to install Postfix. You will need two packages: mailutils, which includes programs necessary for Postfix to function, and postfix itself. Near the end of the installation process, you will be presented with a window that looks like the one in the image below. The default option is Internet Site. That's the recommended option for this tutorial, so press TAB, then ENTER. After that, you'll get another window just like the one in the next image. The System mail name should be the same as the name you assigned to the server when you were creating it. If it shows a subdomain like subdomain.example.com, change it to just example.com. When you've finished, press TAB, then ENTER. You now have Postfix installed and are ready to modify its configuration settings. In this step, you'll configure Postfix to process requests to send emails only from the server on which it is running, i.e. from localhost. Note: If you're hosting multiple domains on a single server, the other domains can also be passed to Postfix using the mydestination directive. However, to configure Postfix in a manner that scales and that does not present issues for such a setup involves additional configurations that are beyond the scope of this article. In this step, you'll test whether Postfix can send emails to an external email account using the mail command, which is part of the mailutils package you installed in Step 1. In performing your own test(s), you may use the body and subject line text as-is, or change them to your liking. However, in place of your_email_address, use a valid email address. The domain part can be gmail.com, fastmail.com, yahoo.com, or any other email service provider that you use. Now check the email address where you sent the test message. You should see the message in your Inbox. If not, check your Spam folder. Note that with this configuration, the address in the From field for the test emails you send will be sammy@example.com, where sammy is your Linux username and the domain is the server's hostname. If you change your username, the From address will also change. 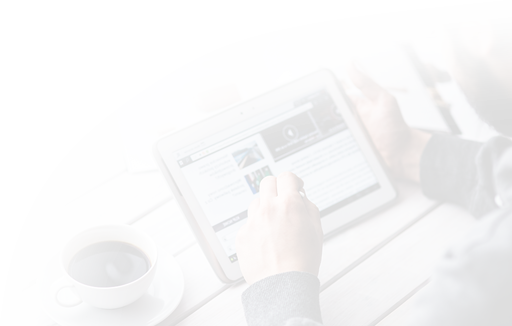 The last thing we want to set up is forwarding, so you'll get emails sent to root on the system at your personal, external email address. You should receive the email at your email address. If not, check your Spam folder. That's all it takes to set up a send-only email server using Postfix. You may want to take some additional steps to protect your domain from spammers, however. If you want to receive notifications from your server at a single address, then having emails marked as Spam is less of an issue because you can create a whitelist workaround. However, if you want to send emails to potential site users (such as confirmation emails for a message board sign-up), you should definitely set up SPF records and DKIM so your server's emails are more likely to be seen as legitimate. If configured correctly, these steps make it difficult to send Spam with an address that appears to originate from your domain. Taking these additional configuration steps will also make it more likely for common mail providers to see emails from your server as legitimate.